Gambling is hugely popular in Kenya, with the increase in Internet connectivity resulting in more Kenyans turning to their phones or computers to place a real money bet online. But is online gambling legal in Kenya? And which are the safest online casinos for Kenyan players? 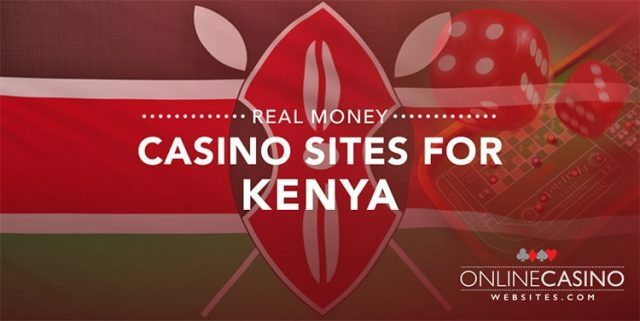 We explain more about Kenya’s gambling laws and whether it is legal to play at an offshore casino. Is online gambling legal in Kenya? Gambling is big business in Kenya, with the online and mobile gambling market expanding rapidly, however the laws regarding online gambling present a bit of a grey area. In Kenya, all facets of gambling are governed by the Betting, Lotteries and Gaming Act of 1966, a law which was introduced long before the advent of the Internet. Under this piece of legislation, a Betting Control and Licensing Board was established to oversee all forms of gambling and regulate the industry to keep activity free from criminal influence. The Board has the power to issue and retract licenses to gambling vendors and an operator must receive licensing before legally being able to offer services to Kenyan players. The legal forms of gambling stipulated under the Betting, Lotteries and Gaming Act include land based casinos, lotteries and a state-run gambling site. Technically, online gambling is legal in Kenya provided it has been approved by the state government, although there is only one site that has been licensed so far. This means many players have turned to offshore casino sites for a better variety of games and gaming options. 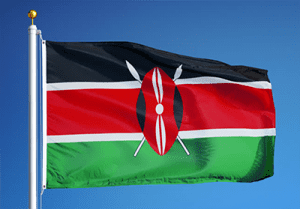 While it is not entirely legal for these sites to accept Kenyan players, the casinos are governed outside of Kenyan laws by the areas of their gambling jurisdiction, operating within the rules and regulations in their country of operation. This is another one of those confusing loopholes where Kenyan players can choose to play at their own risk, as many offshore sites continue to accept players from Kenya. To date, there has been no record of a Kenyan individual being prosecuted for playing at a foreign-run gambling site, but it is your responsibility to know the laws that apply to you and play with caution. We recommend the use of a VPN (virtual private network) when playing for real money at any offshore casino for an extra layer of security. Many of the world’s leading online casinos cater to the Kenyan market, so Kenyan’s have plenty of choice when it comes to picking a casino site with a solid reputation. When choosing an offshore casino to play at, you should always make sure it is licensed by a reputable gambling jurisdiction (United Kingdom, Malta, Gibraltar, Curacao, Alderney, Isle of Man and Kahnawake are the best ones) and regularly audited by a third-party testing agency, like eCOGRA. The casino should host a large collection of games from leading software providers, like NetEnt, Microgaming, Quickspin, BetSoft, Play’n Go, Evolution Gaming and Ezugi, for instant-play on desktop and mobile with no downloads needed. 1/ Rizk Casino – This is a fun online casino that doesn’t take things too seriously, with the site hosted by the comical Captain Rizk and his dog Lucky. Games are set out in a Netflix-style theme and divided under distinct categories to help you find something to your personal tastes. Rizk.com’s main focus is on the slots, but you will also find a decent selection of table games and live dealer games here. 2/ Jackpot City – If you want to play games from one of the most trusted names in casino software, head to Jackpot City, where you can get access to the whole Microgaming game catalogue. Along with a huge selection of slots, table games and live casino games, Jackpot City hosts daily bonus offers and a rotation of one-off promos to registered players. 3/ 32Red Casino – 32Red is a trusted name in the online gambling industry, providing dedicated sites for casino games, bingo and poker. Players will find a large collection of games from Microgaming here, available to play directly over your Web browser or by downloading 32Red’s premium casino software. 32Red also offers a great mobile platform for real money casino games on the go. Other top-rated online casinos catering to Kenyan players are included in our table above. Click any of our links to read a detailed review of each casino or sign up using our links to get access to some fantastic new player welcome bonuses. For the best sportsbooks and horse racing betting sites for Kenyans, check out our special Kenyan sports betting sites guide. Although Kenyan players are widely accepted at online casinos, payments using the Kenyan shilling (KES) may not always be available. A vendor may allow you to sign up for an account using your local KES currency, but please note you may be subject to currency conversion fees when it comes to making deposits and withdrawals. Refer to the terms and conditions of your chosen casino site for specific information regarding their banking options. Making a deposit to play for real money at a casino site is easy and will only take a couple of minutes. Once you sign up for an account, head to the casinos banking section and choose from a trusted payment option. Popular choices for Kenyan players include Neteller, Skrill, Paysafecard, Visa, MasterCard and direct bank transfer, all which are processed instantly, except bank transfers which can take a couple of days to hit your account. Always make sure you only play for real money at sites protected by a minimum of 128 Bit SSL (secure socket layer) digital encryption, like any of the casinos recommended on our site. Looking for a reputable online casino that accepts players from Kenya? Head to Rizk Casino to enjoy a wide range of slots and table games from some of the best game studios in the business, and claim up to $100 in welcome bonuses when transferring cash for the first time.